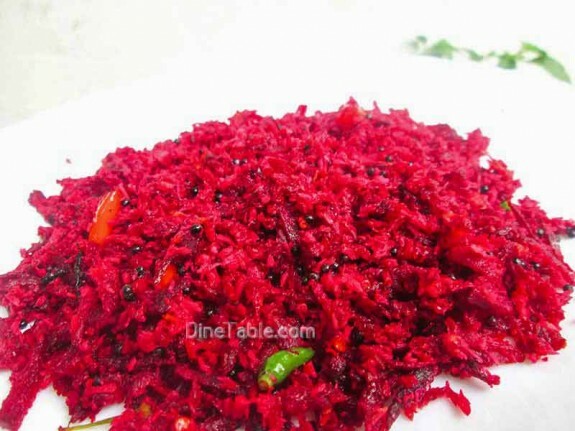 Beetroot Thoran is a quick and easy side dish. 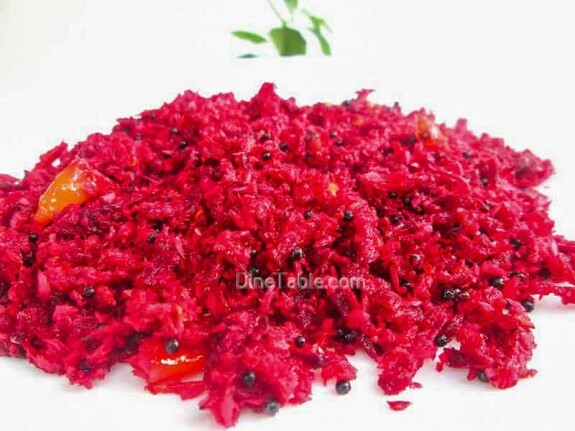 Thoran or Upperi refers to stir-fry, seasoned with coconut, curry leaves and mustard seeds is a usual preparation in the lunch menu of Kerala. 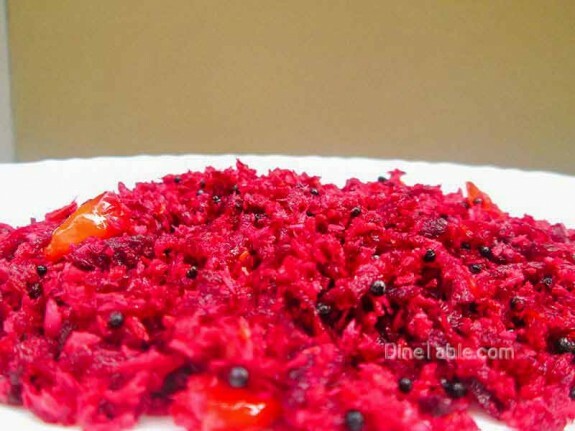 It is very easy to prepare and goes well with Rice. Tryout this healthy side dish at your home. 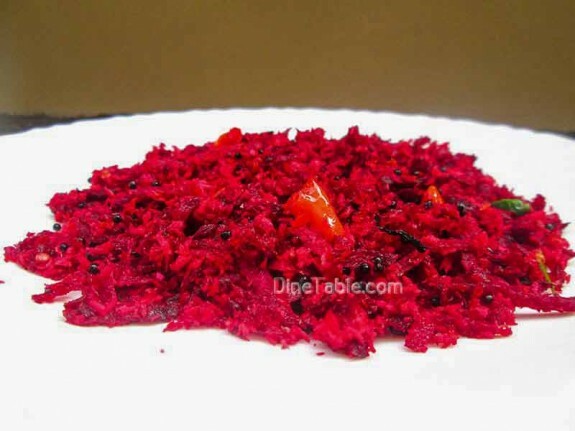 Beetroot is a healthy veggie which contains Potassium, Magnesium and Iron as well as Vitamins A, B6 and C. Beets also contain carbohydrates, protein, powerful antioxidants and soluble fiber. Peel, wash and grate the beetroot. 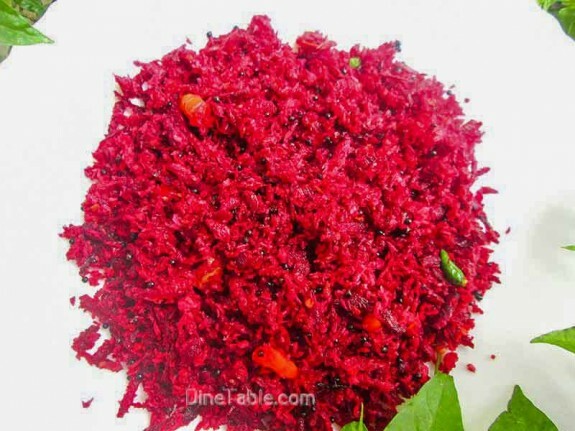 Grind grated coconut, green chilly and shallots without adding water. Heat 3 tbsp of coconut oil in a pan and add mustard seeds. When they splutters, add curry leaves, ground coconut into it and mix well. 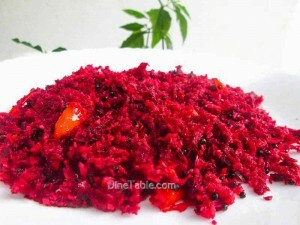 Add grated beetroot and salt into it and combine well. Cover it with a lid and cook this for 8 minutes on a low flame. After 8 minutes, open the lid and stir well. Switch off the flame. 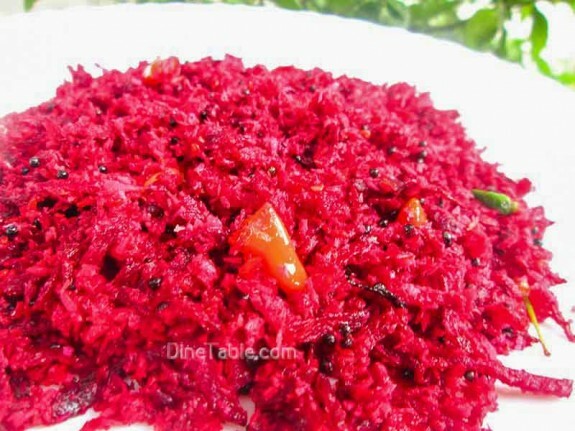 Tasty Beetroot Thoran is ready.